Teethers There are 27 products. Boo the Bunny natural teething toy is helping your little one through teething time. The textures on Boo, his ears, tail and handle help your baby soothe their gums. With his friendly smile, he is sure to become a favourite teething toy for your child. Boo is made of natural rubber, contains no BPA, no PVC, no Parabens and no Phthalates. 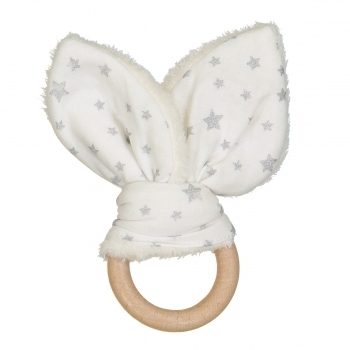 Lovely bunny teether with silver stars from ‚Les Juliettes’. The ring is made of untreated beech and the ears are made of 100% cotton in France and will help your teething baby soothe sore gums. 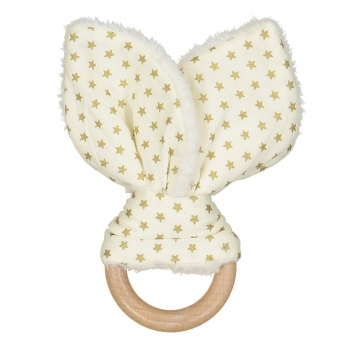 Lovely bunny teether with golden stars from ‚Les Juliettes’. 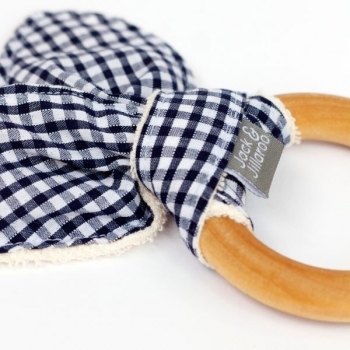 The ring is made of untreated beech and the ears are made of 100% cotton in France and will help your teething baby soothe sore gums. 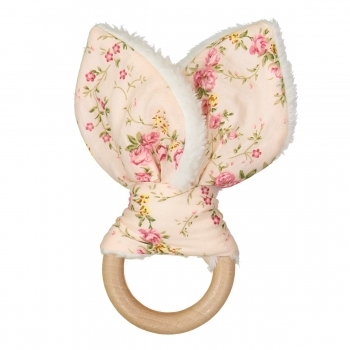 Lovely bunny teether in floral rose from ‚Les Juliettes’. The ring is made of untreated beech and the ears are made of 100% cotton in France and will help your teething baby soothe sore gums. 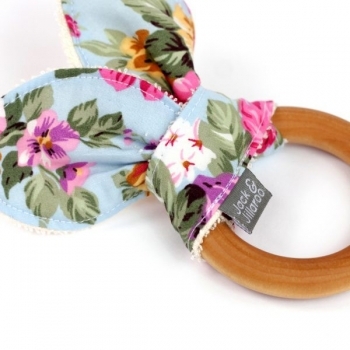 Help your teething baby soothe sore gums with this divine and natural teething ring. 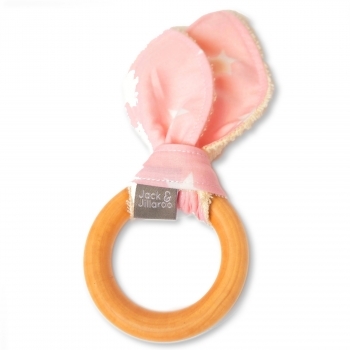 The ears with the lovely pink/white stars design attached to the ring are made of 100% organic cotton and provide another texture to chew on. Perfect for pain relief. 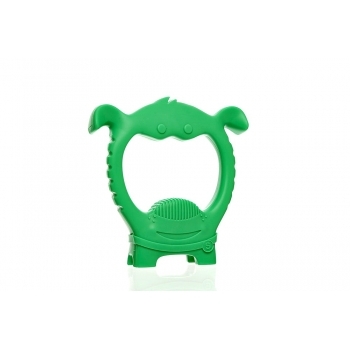 Liewood’s super cute Gemma teether is perfect for sore gums. The cat teether in rose has various textures which will provide soothing comfort and relieve your baby’s teething pain. Help your teething baby soothe sore gums with this divine and natural teething ring. 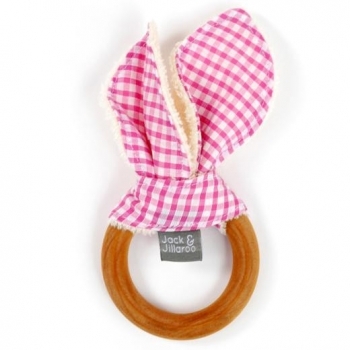 The ears with the lovely pink and white checked design attached to the ring are made of 100% organic cotton and provide another texture to chew on. Perfect for pain relief. 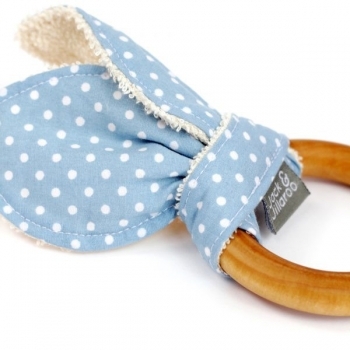 Help your teething baby soothe sore gums with this divine and natural teething ring. The ears with the lovely pink/white dot design attached to the ring are made of 100% organic cotton and provide another texture to chew on. Perfect for pain relief. 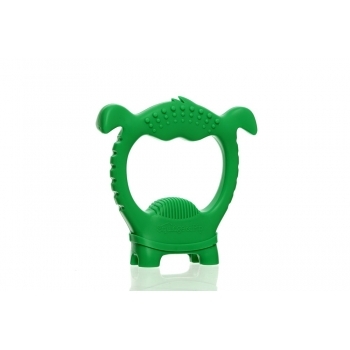 Help your teething baby soothe sore gums with this divine and natural teething ring. 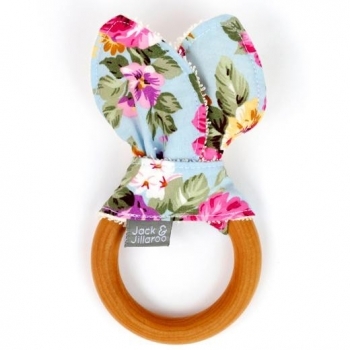 The ears with the lovely flower design attached to the ring are made of 100% organic cotton and provide another texture to chew on. Perfect for pain relief. 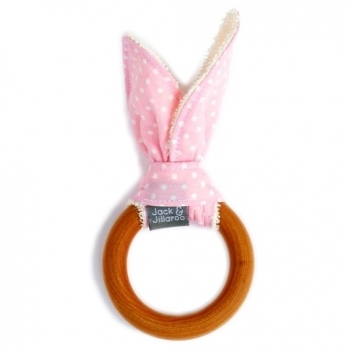 Help your teething baby soothe sore gums with this divine and natural teething ring. The ears with the lovely tiger design attached to the ring are made of 100% organic cotton and provide another texture to chew on. Perfect for pain relief. 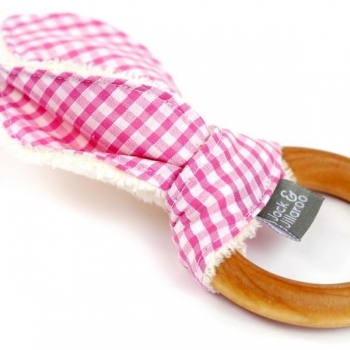 Help your teething baby soothe sore gums with this divine and natural teething ring. The ears with the lovely blue/white dot design attached to the ring are made of 100% organic cotton and provide another texture to chew on. Perfect for pain relief. 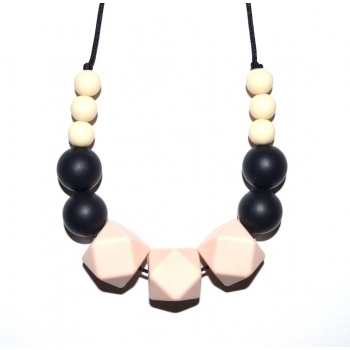 Super stylish and baby proof black, cream and fuchsia hexagone teething necklace. A great accessory while baby wearing or breastfeeding to help focus to promote a longer feed and of course it relieves teething pain. The teething jewellery is flexible, chewable, washable and a great accessory to any outfit for a stylish mama. 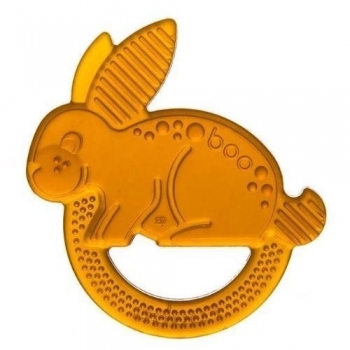 Help your teething baby soothe sore gums with this divine and natural teething ring. 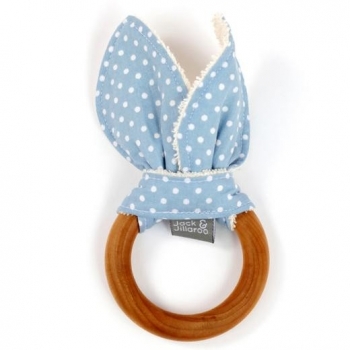 The ears with the lovely blue/white stars design attached to the ring are made of 100% organic cotton and provide another texture to chew on. Perfect for pain relief. 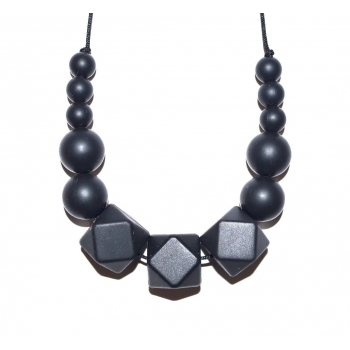 Super stylish and baby proof black hexagone teething necklace. A great accessory while baby wearing or breastfeeding to help focus to promote a longer feed and of course it relieves teething pain. The teething jewellery is flexible, chewable, washable and a great accessory to any outfit for a stylish mama. Super stylish and baby proof black, fuchsia and turquoise hexagone teething necklace. A great accessory while baby wearing or breastfeeding to help focus to promote a longer feed and of course it relieves teething pain. The teething jewellery is flexible, chewable, washable and a great accessory to any outfit for a stylish mama. 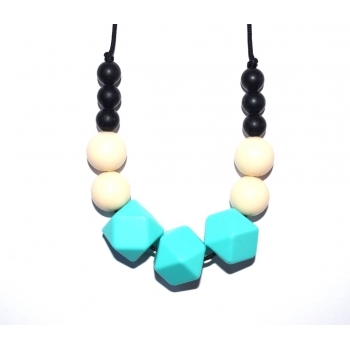 Super stylish and baby proof black, cream and turquoise hexagone teething necklace. A great accessory while baby wearing or breastfeeding to help focus to promote a longer feed and of course it relieves teething pain. The teething jewellery is flexible, chewable, washable and a great accessory to any outfit for a stylish mama. 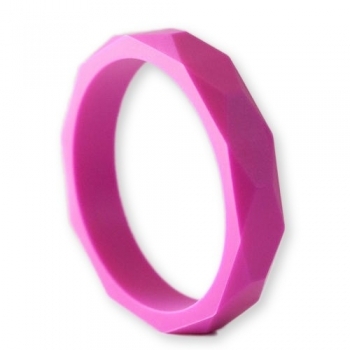 Super stylish and baby proof fuchsia teething bangle. Practical to soothe babies sore teething gums and it’s safe enough to be tugged by little hands without breaking. The teething jewellery is flexible, chewable, washable and a great accessory to any outfit for a stylish mama. 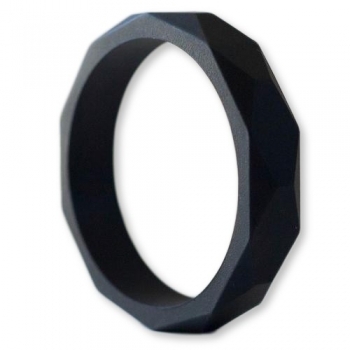 Super stylish and baby proof black teething bangle. Practical to soothe babies sore teething gums and it’s safe enough to be tugged by little hands without breaking. The teething jewellery is flexible, chewable, washable and a great accessory to any outfit for a stylish mama. 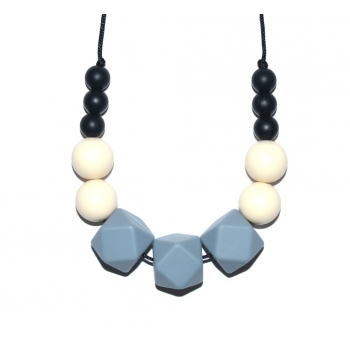 Super stylish and baby proof black, cream and grey hexagone teething necklace. A great accessory while baby wearing or breastfeeding to help focus to promote a longer feed and of course it relieves teething pain. The teething jewellery is flexible, chewable, washable and a great accessory to any outfit for a stylish mama. 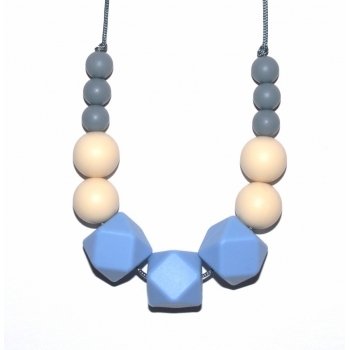 Super stylish and baby proof grey, cream and light blue hexagone teething necklace. A great accessory while baby wearing or breastfeeding to help focus to promote a longer feed and of course it relieves teething pain. The teething jewellery is flexible, chewable, washable and a great accessory to any outfit for a stylish mama. Super stylish and baby proof cream, black and peach hexagone teething necklace. A great accessory while baby wearing or breastfeeding to help focus to promote a longer feed and of course it relieves teething pain. The teething jewellery is flexible, chewable, washable and a great accessory to any outfit for a stylish mama. 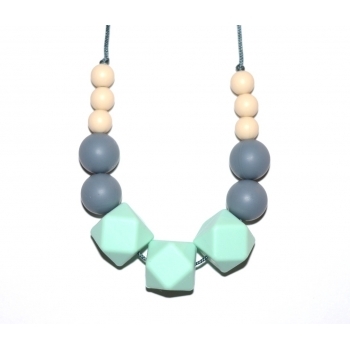 Super stylish and baby proof cream, grey, and mint hexagone teething necklace. 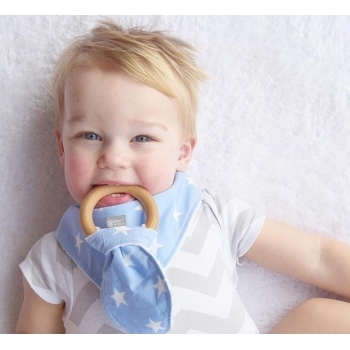 A great accessory while baby wearing or breastfeeding to help focus to promote a longer feed and of course it relieves teething pain. The teething jewellery is flexible, chewable, washable and a great accessory to any outfit for a stylish mama. 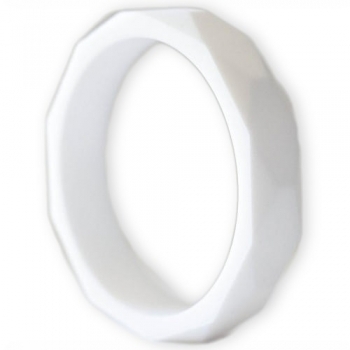 Super stylish and baby proof white teething bangle. Practical to soothe babies sore teething gums and it’s safe enough to be tugged by little hands without breaking. The teething jewellery is flexible, chewable, washable and a great accessory to any outfit for a stylish mama. Help your teething baby soothe sore gums with this divine and natural teething ring. 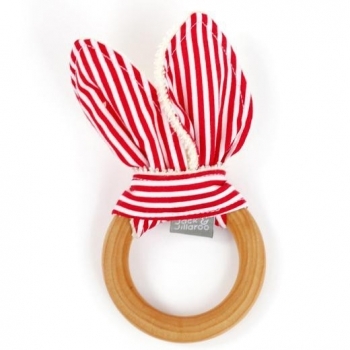 The ears with the lovely red and white stripes design attached to the ring are made of 100% organic cotton and provide another texture to chew on. Perfect for pain relief. 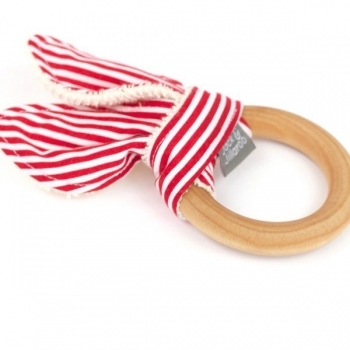 Help your teething baby soothe sore gums with this divine and natural teething ring. 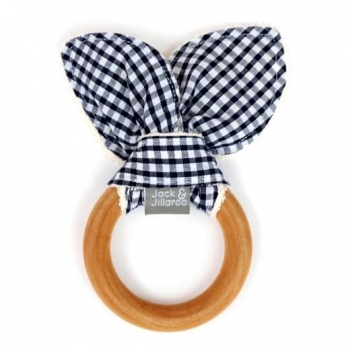 The ears with the lovely navy and white checked design attached to the ring are made of 100% organic cotton and provide another texture to chew on. Perfect for pain relief.